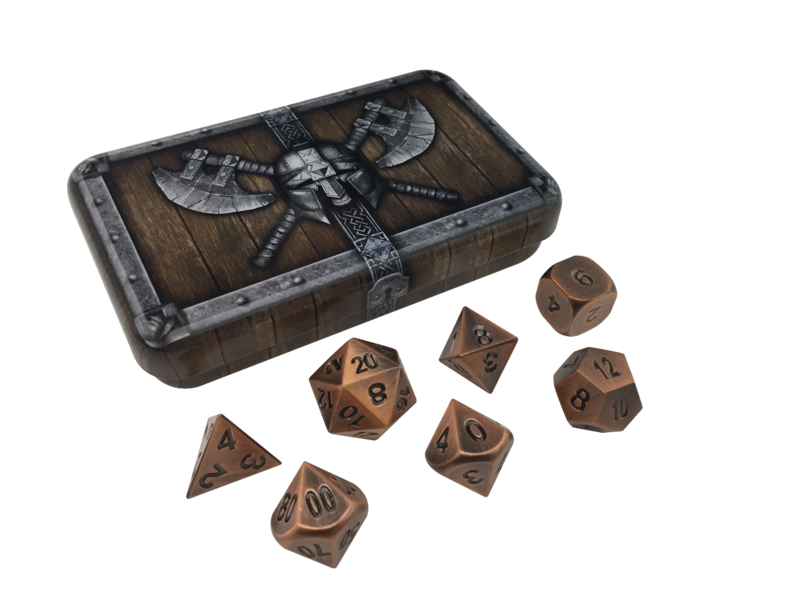 Dwarven Chest, Warlock Tome, Wizard's Grimoire, Thieves Tools, Cleric's Prayer Book, or Gunslinger's Kit Dice Cases! Guard your treasure between adventures! 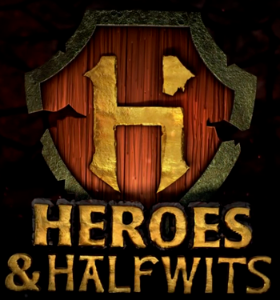 THE BEST METAL DICE IN THE REALMS! 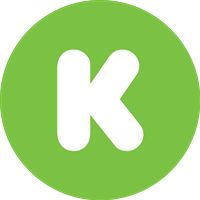 With three different cases, and 15 styles of amazing metal dice, you're certain to find the perfect dice for your favorite adventurer. Choose to shop either by case or style below. A place for all your treasures. 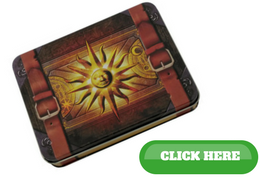 Our Warlock Tome Dice Case; the source of your power. 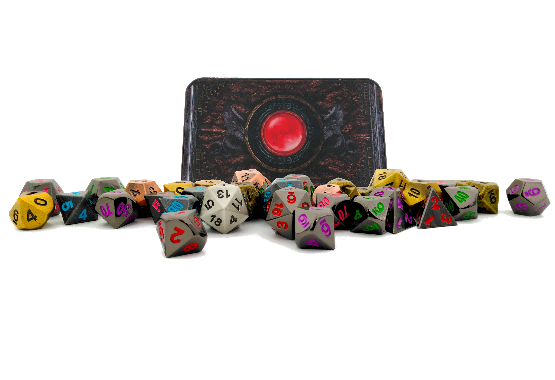 Designed to hold all of your adventuring gear, this new Wizard's Grimoire dice case captures the essence of bold adventurers. 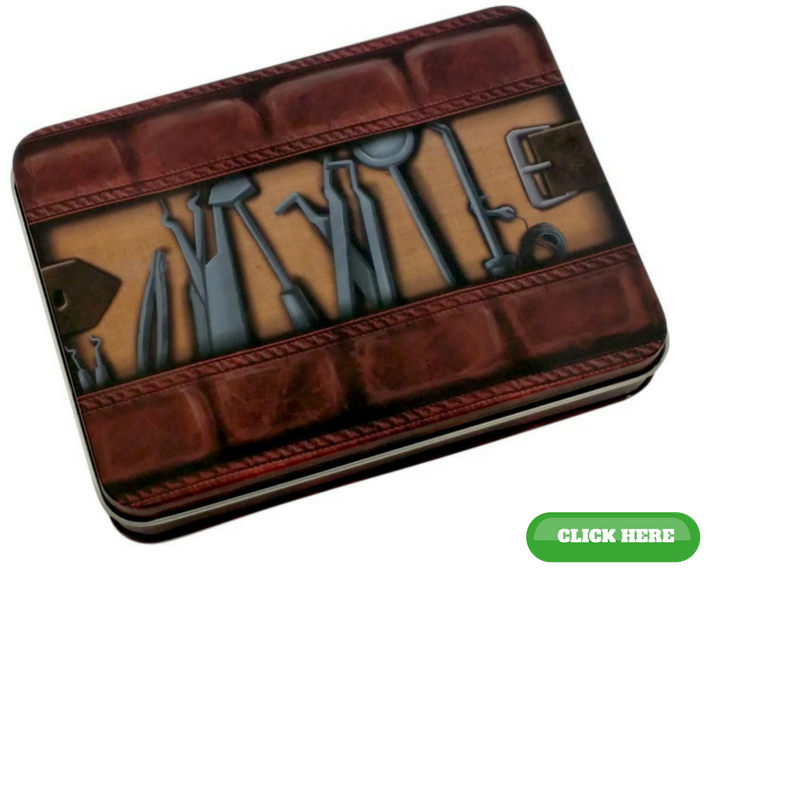 This dice case is perfect for your favorite role playing game! 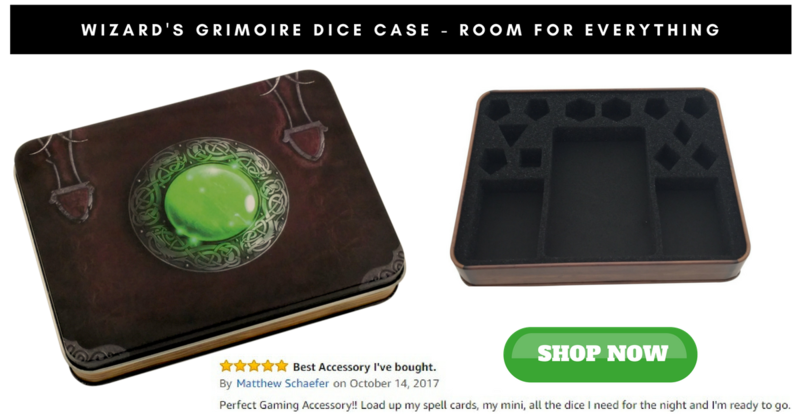 This new dice case is much bigger and include a detachable lid; now you can carry all of your dice, a deck of cards, and still have room! Designed to hold all of your adventuring gear, this new Thieves' Toolsdice case captures the essence of bold adventurers.This dice case is perfect for your favorite role playing game! This new dice case is much bigger and include a detachable lid; now you can carry all of your dice, a deck of cards, and still have room! Our Cleric's Prayerbook shows the devotion of the follower of the light. 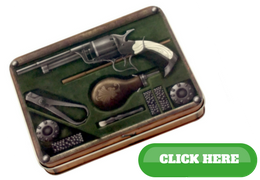 Our Amazing Gunslinger's Kit Dice Case shows a realistic early gunpowder style kit. 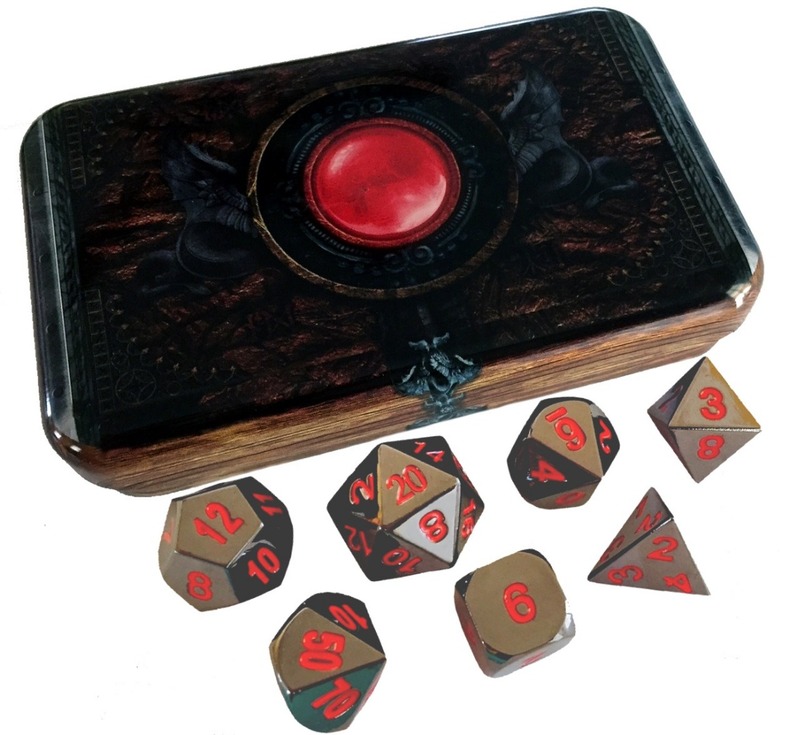 What do people like the most about our metal dice? How they feel in your hand! 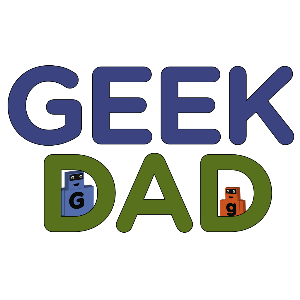 We are gamers too, and the feeling of metal dice rolling is simply amazing. 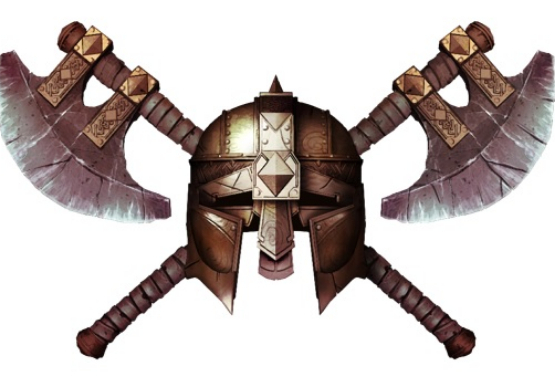 It truly feels like you're wielding a battle axe, or slinging a spell. Our zinc alloy metal d20 weighs almost 8 times more than a typical plastic die. After you've used a metal die you'll never go back. Beware adventurer, they roll with advantage against glass tables; and glass tables only have 1 Hit Point! 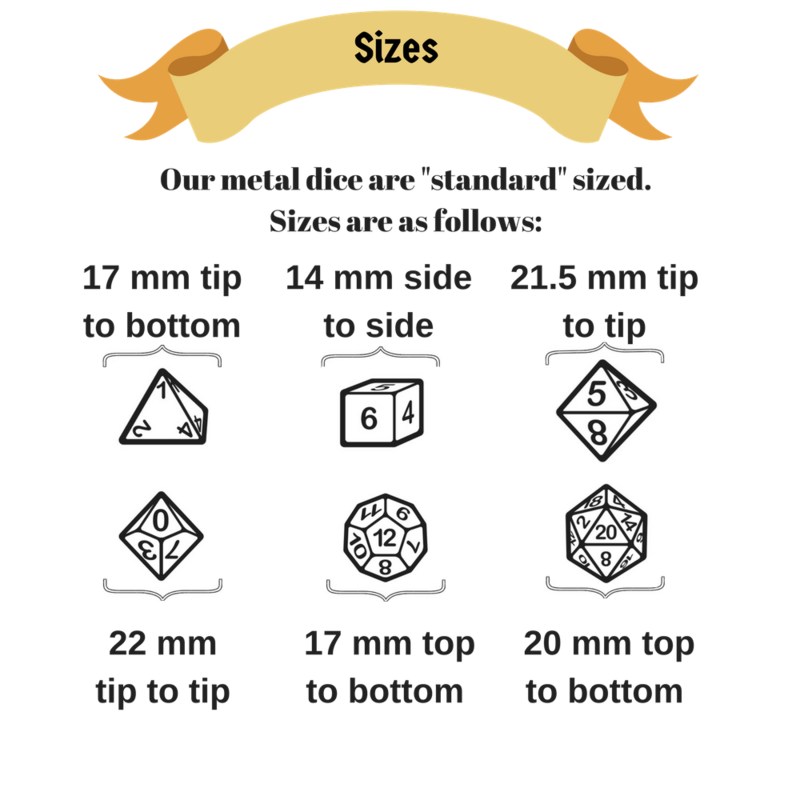 All of our metal dice are "standard" sized dice, not the typical "mini" color. Buy now and feel the SkullSplitter difference! Try your SkullSplitter product out for 30 days and if it doesn’t work for you, you’ll get your money back! There’s absolutely no-risk in giving it a try. No questions asked, you can get your money back! 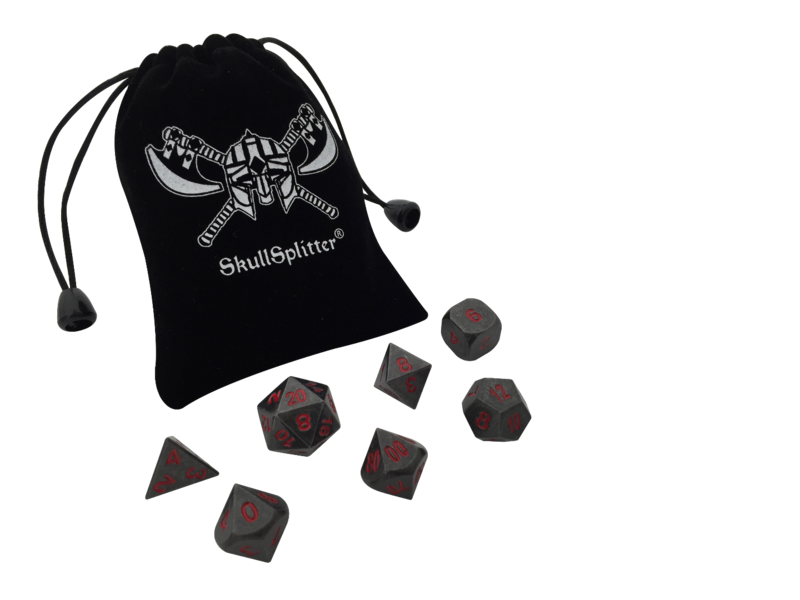 If you need to contact us with questions, feedback, testimonial or a suggestion, please email us at CustomerLove@SkullSplitterDice.com.